Turning inbound sales calls into customers is more science than mystical art. Our free e-Book, "Turn Inbound Sales Calls Into Gold," is a step-by-step guide you can use to put repeatable and measurable processes in place to get consistent sales results! As an added bonus, you'll receive a communication checklist to ensure you never lose a sales lead again. 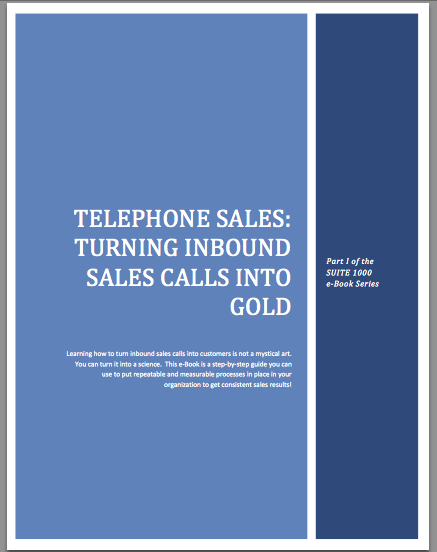 Simply complete the form to download your free copy of "Turn Inbound Sales Calls Into Gold."